Definition at line 32 of file glu.h. Definition at line 53 of file glu.h. Definition at line 127 of file glu.h. Definition at line 56 of file glu.h. Definition at line 59 of file glu.h. Definition at line 57 of file glu.h. Definition at line 126 of file glu.h. Definition at line 67 of file glu.h. Definition at line 77 of file glu.h. Definition at line 78 of file glu.h. Definition at line 82 of file glu.h. Definition at line 83 of file glu.h. Definition at line 68 of file glu.h. Definition at line 86 of file glu.h. Definition at line 87 of file glu.h. Definition at line 93 of file glu.h. Definition at line 94 of file glu.h. Definition at line 95 of file glu.h. Definition at line 69 of file glu.h. Definition at line 98 of file glu.h. Definition at line 99 of file glu.h. Definition at line 70 of file glu.h. Definition at line 73 of file glu.h. Definition at line 74 of file glu.h. Definition at line 58 of file glu.h. 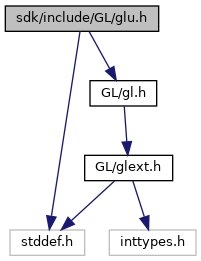 Definition at line 64 of file glu.h. Definition at line 63 of file glu.h. Definition at line 182 of file glu.h. Definition at line 181 of file glu.h. Definition at line 190 of file glu.h. Definition at line 191 of file glu.h. Definition at line 45 of file glu.h. Definition at line 165 of file glu.h. Definition at line 52 of file glu.h. Definition at line 48 of file glu.h. Definition at line 212 of file glu.h. Definition at line 208 of file glu.h. Definition at line 213 of file glu.h. Definition at line 209 of file glu.h. Referenced by gluBeginPolygon(), gluNextContour(), and GotoState(). Referenced by gluBeginPolygon(), and GotoState(). Referenced by gluEndPolygon(), gluNextContour(), and GotoState().